In this article, we will learn how to write (simple) unit tests for your Angular modeling blocks (service, component, async task, etc). 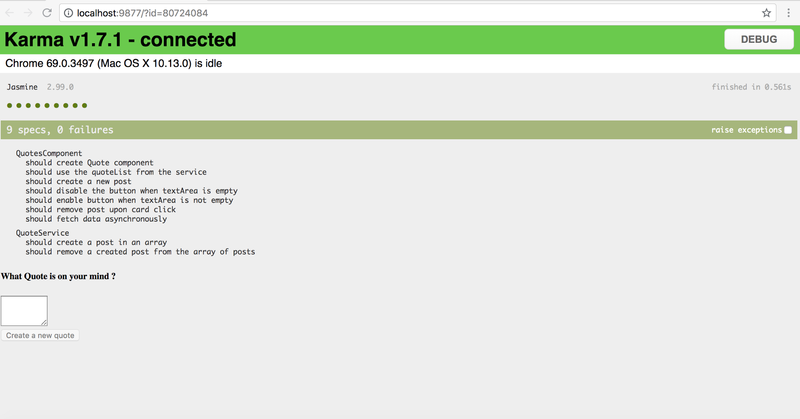 We will be using a simple Quotes application to demonstrate how you can write a unit test for your project. I assume you already have an understanding of how to use Angular 2+. If you are a beginner or you have interest in Angular, you can find more here. Why do you need to test your application? Have you been looking for a way to test what you have built based on user behavior? I really don’t expect you to test each behavior one at a time, as this method does not only waste your time but is also ineffective. Writing tests for different coupling blocks in your application will help demonstrate how these blocks behave. The Quotes application we will be looking at has a service, a component and an async task to simulate data being fetched from the server. One of the easiest ways to test the strengths of these blocks is writing a test for each of them. You don’t necessarily need to wait until your users complain how the input field behaves when the button is clicked. Writing a test for your blocks (components, services etc) can easily detect when there is a break. How do you set up an Angular test ? When you create a new project with the cli (ng new appName), a default component and test file are added. Also, for those that always like a shortcut method like me, a test script is always created alongside any component module (service, component) you create using angular cli(Command Line Interface). You might be wondering, how can we simulate a user behavior by simply writing a test, even though the project is being rendered in a browser? As we proceed, I will demonstrate how we can simulate the app running on a browser. By default, Angular runs on Karma which is a test runner that runs the unit tests snippet like the above app.component.spec.ts file. Karma also ensures the result of the test is printed out either in the console or in file log. Other test runners are mocha, jasmine etc. How does the test run? The testing package has some utilities (TestBed, async). TestBed is the main Angular utility package. 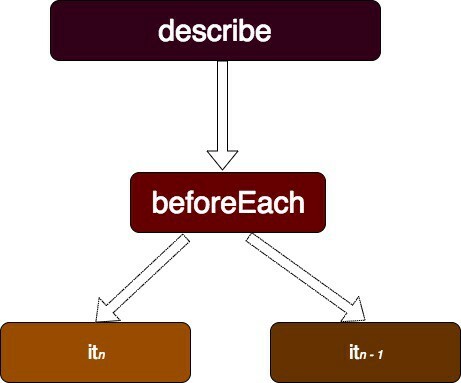 The describe container contains different blocks (it, beforeEach, xitetc). The beforeEach runs before any other block while others do not depend on each other to run. From the app.component.spec.ts file, the first block is the beforeEach inside the container (describe). This is the only block that runs before any other block (it). The declaration of the app module in app.module.ts file is simulated (declared) in the beforeEach block. The component (AppComponent) declared in the beforeEach block is the main component we want to have in this testing environment. The same logic applies to other test declaration. Now that the component has been declared in the beforeEach block, let’s check if the component is created. Now that you have familiarized yourself with the basics of testing a component. Let’s test theQuote application. 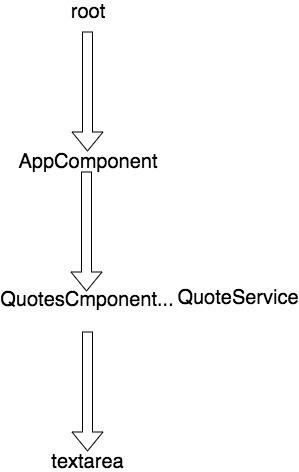 The second block creates a post in an array and removes it immediately by calling removeQuote in the service object. The length of the quoteList is expected to be 0. <div class="card mb-3 col-5 list-card" id="quote-cards" style="max-width: 18rem;" *ngFor="let quote of quoteList; let i = index"
The first two blocks in the describe container run consecutively. In the first block, the FormsModule is imported into the configure test. This ensures the forms related directives like ngModel can be used. Just like the way we access an element with its CSS property, we can also access an element by its class name. Multiple classes can be accessed at the same time using By e.g By.css(‘.className.className’) . How do you test an asynchronous operation? You can’t escape a time you will need to fetch data remotely. This operation is best treated as an asynchronous task. spyOn objects simulate how fetchQuotesFromServer method works. It accepts two argument quoteService which is injected into the component and the method fetchQuotesFromServer . fetchQuotesFromServer is expected to return a promise. spyOn chains the method using and with a fake promise call which is returned using returnValue . Since we want to fake how the fetchQuotesFromServer works, we need to pass a promise that will resolve with a list of quotes. Angular also ensures test results are viewed in your browser. This will give a better visualization of the test results. The source code to the project can be found here.